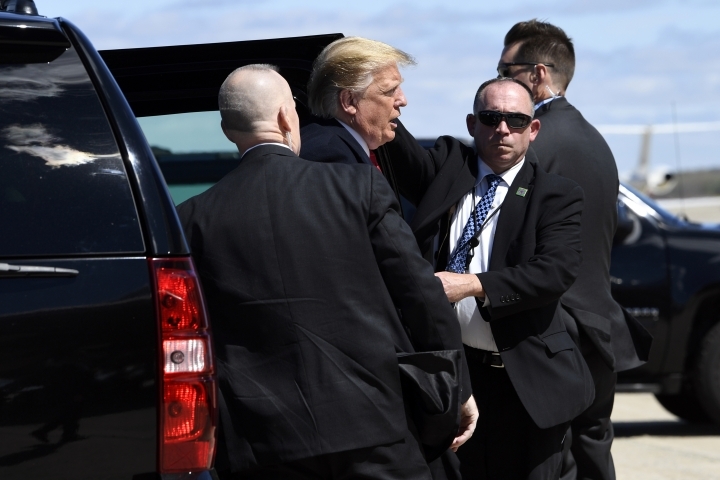 BURNSVILLE, Minn. — President Donald Trump played up the benefits of his tax cuts on Monday's tax filing day in a state where he's aiming to turn a narrow defeat in the 2016 presidential race into a victory in his re-election bid next year. 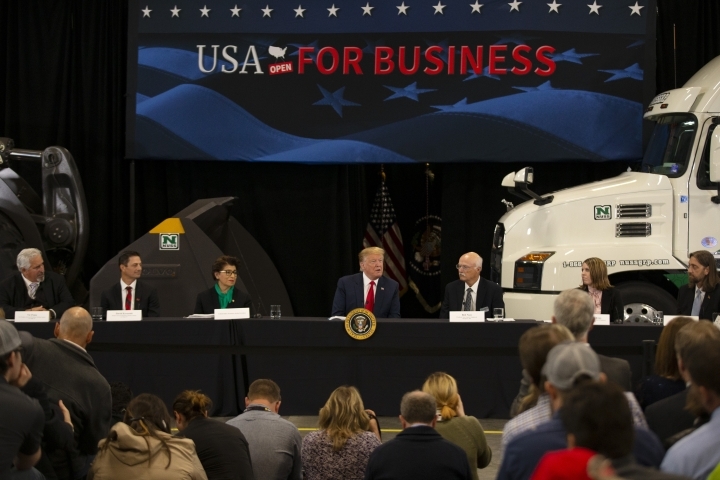 "We promised these tax cuts would be rocket fuel for the American economy and we were absolutely right," Trump told an audience at a trucking company where a red, white and blue banner exclaimed: "USA open for business." 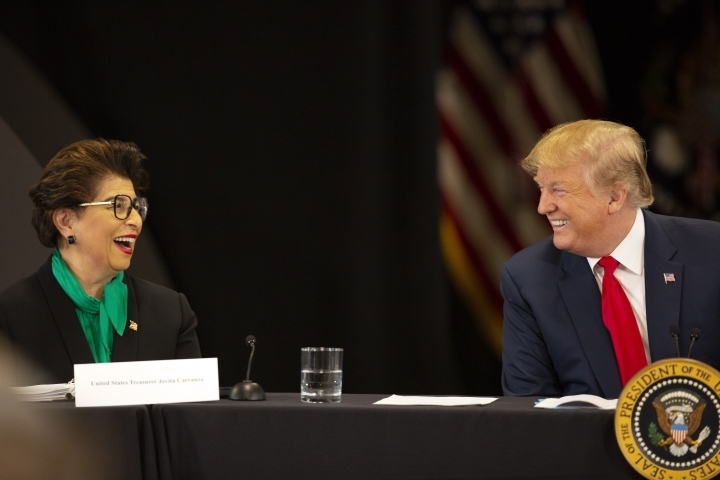 "You're got a very prosperous America, with low unemployment," the president said at Nuss Truck and Equipment. "I would say Americans approve of a prosperous economy" that has been rebuilt by Trump's policies. 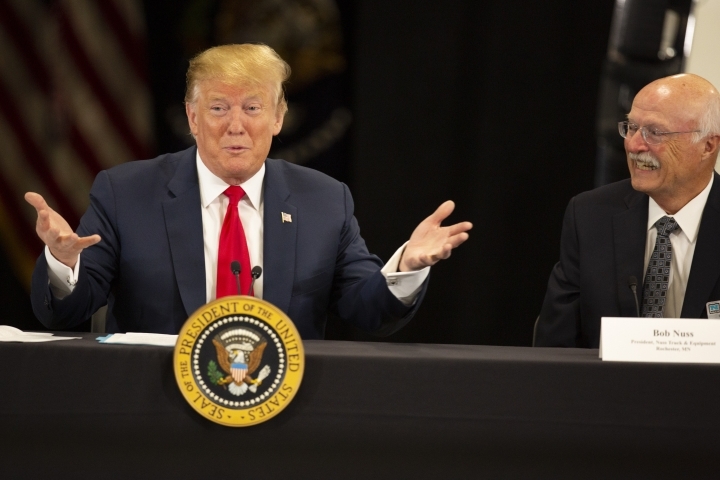 The $1.5 trillion, 10-year package of tax cuts Trump signed into law in 2017 helped accelerate economic growth in 2018 to a rate of 3 percent, based on the administration's preferred measure of comparing the fourth quarter of 2018 to the same period in 2017. Most economists — including at the Federal Reserve — anticipate growth will slump this year to just above 2 percent as the stimulus from the tax cuts wanes. 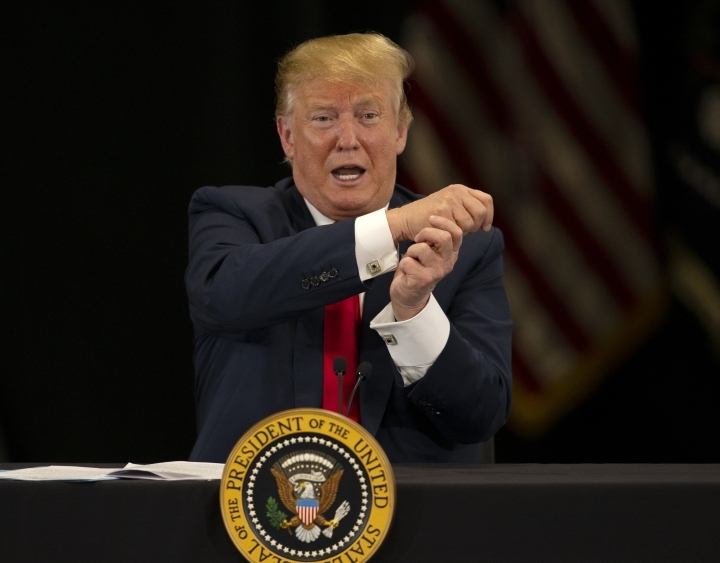 The White House insists growth will again top 3 percent this year, saying the benefits from a reduced corporate tax rate and other reductions will boost performance. Larry Kudlow, director of the president's National Economic Council, pushed back against critics who argue the reductions benefited corporations more than average Americans. Minnesota U.S. Sen. Amy Klobuchar, a 2020 Democratic presidential candidate, said Sunday the tax cuts had added trillions of dollars to the nation's debate and disproportionately helped the wealthy. "Take a look at the numbers," Kudlow said Monday at the White House. He said weekly earnings are up and more people are working and prospering. 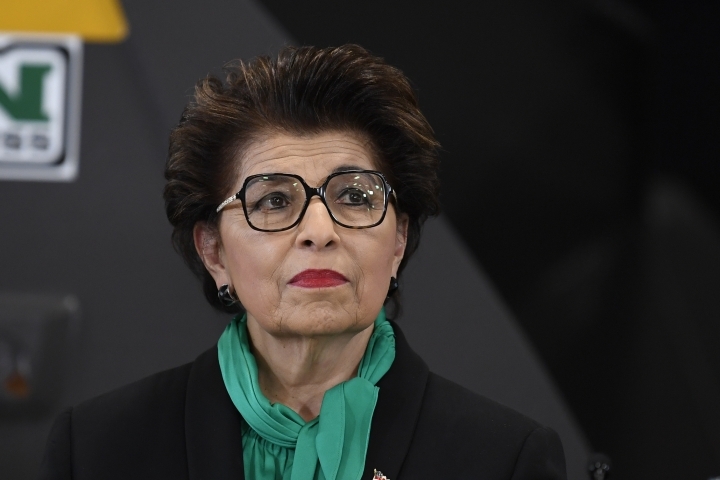 "This is the hottest economy in the world." Boos rose from the audience after Trump said "Today is tax day that we're celebrating." He claimed his tax cuts are the largest in U.S. history, but the facts show otherwise. A $1.5 trillion tax cut ranks 12th as a share of the total economy, according to the Committee for a Responsible Federal Budget. Companies are reaping benefits, using their savings to buy back stock at a record pace, according to TrimTabs Investment Research. But so far, the tax cuts haven't delivered a major shot of financial adrenaline to most families. 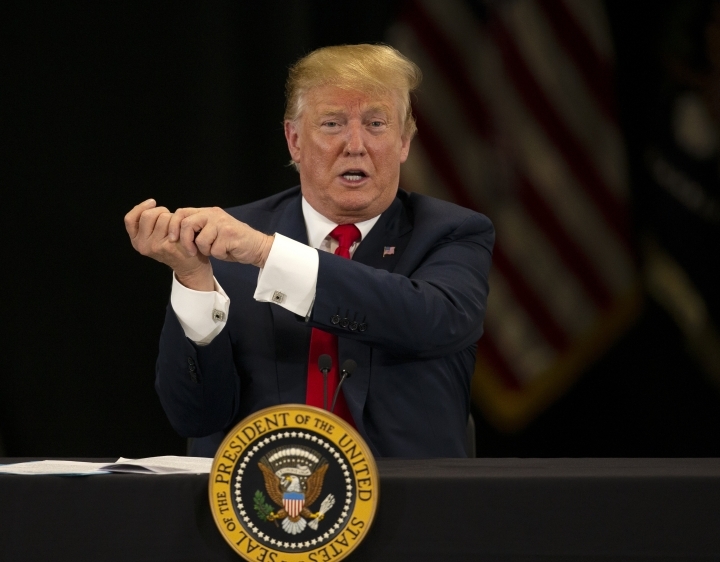 The president's focus on tax day served to highlight his refusal to release his own tax returns. 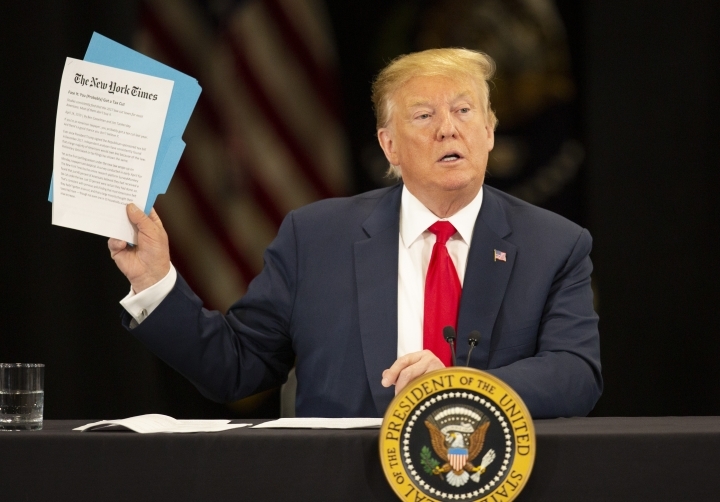 Trump bucked decades of presidential tradition by declining to show voters his tax filings, both as a candidate and as president. He says he won't release the returns because he's being audited by the IRS though the agency says an audit bars no one from making their returns public. 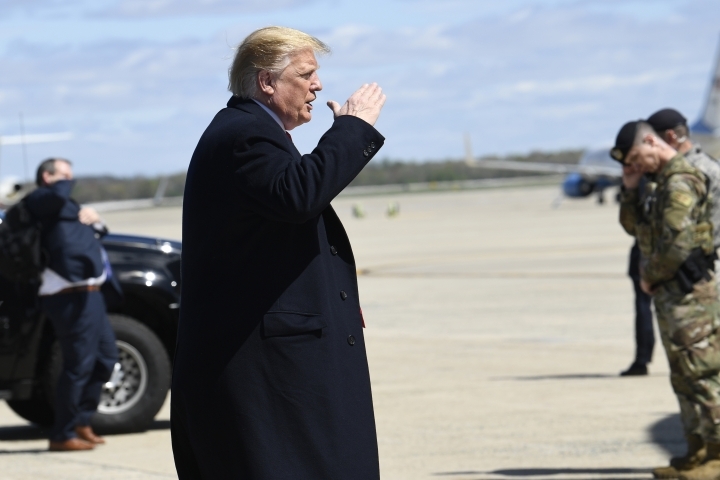 A key House committee, citing a 1920s law, has given the administration until April 23 to hand over six years' worth of Trump's business and personal returns. A Trump opponent welcomed the president to Burnsville with a sign that said: "Demand Trump's Tax Returns and a List of his Creditors." 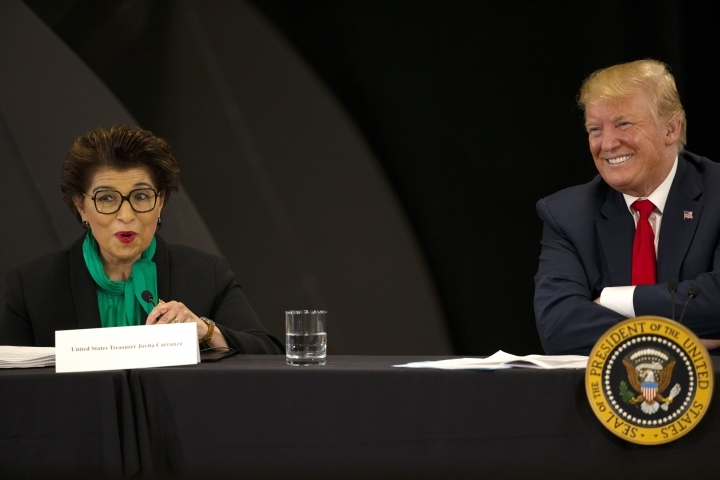 Trump narrowly lost Minnesota to Democrat Hillary Clinton in 2016 and is hoping to flip the state in 2020. But history would appear to be against him: Minnesota has not voted for a Republican for president since Richard Nixon in 1972. "This has been a very special state and we almost won it," Trump said. Speaking of the scene outside the warehouse, he added: "I see American flags waving all over and it's beautiful." Associated Press writers Joshua Boak and Darlene Superville in Washington contributed to this report. Copyright © 2015 - 2019 Money - In The Headline. All Rights Reserved.